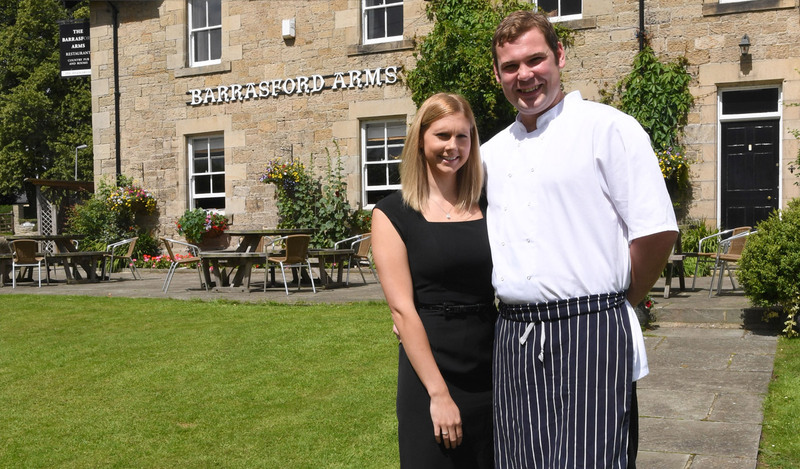 The Barrasford Arms pub dates back to the 1800’s. Set overlooking Houghton Castle, this picturesque pub not only serves great local ales, but also top quality local Northumbrian food, using ingredients from the polytunnel and gardens out the back. In their short time at the pub they have already won North East Tourism Pub of the Year 2018, Bronze for North East Boutique Hotel of the Year, retained an AA 1 Rosette, gained AA 4* rating for our accommodation, and also listed in some of the prestigious food guides, including the The Good Food Guide and The Good Pub Guide.